Blood and Wine, the second expansion to The Witcher 3, will be released within the next few months. We had a chance to interview Marcin Przybylowicz, composer for The Witcher 3: Wild Hunt and Cyberpunk 2077. In the second quarter of 2016 fans of The Witcher 3 will finally be able to get their hands on the second expansion to the last year’s smash hit. As there’s only a few months left until the release of Blood and Wine, we decided to pay CD Projekt Red a little visit and ask Marcin Przybylowicz, the composer of music to Wild Hunt, about the expansion. Moreover, we talked about some things that might be of special interest to those of you who loved the music in CD Projekt’s latest game. We also touched on the subject of Cracow Film Music Festival, where you will have a unique chance to hear the music from The Witcher performed live. Krystian Smoszna: For how long now has The Witcher occupied Marcin Przybylowicz’s head? Marcin Przybylowicz: It depends on how you define the starting point. You could say that it’s been five years – that’s how long I’ve been working for CD Projekt, coming here every day and doing what’s in my job description. But you could also say it’s been longer than that, because my first Witcher-related gaming experience took place sometime around the release of the first game. 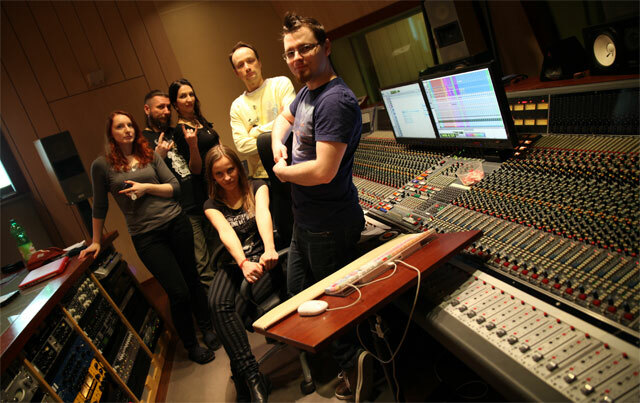 That’s when I took part in the project “Inspired by The Witcher”, and one of my songs was included on that album. 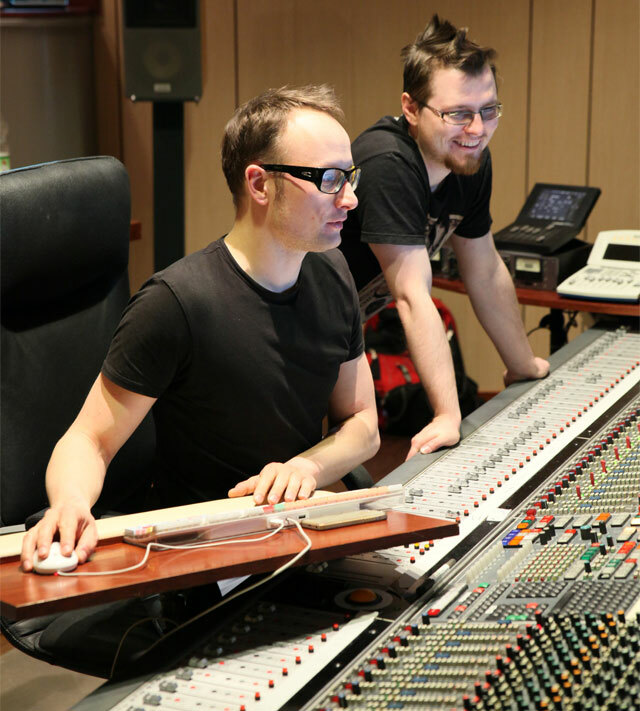 Before I joined the team working on The Witcher 2, I was a freelance sound designer hired to work on one of the trailers. 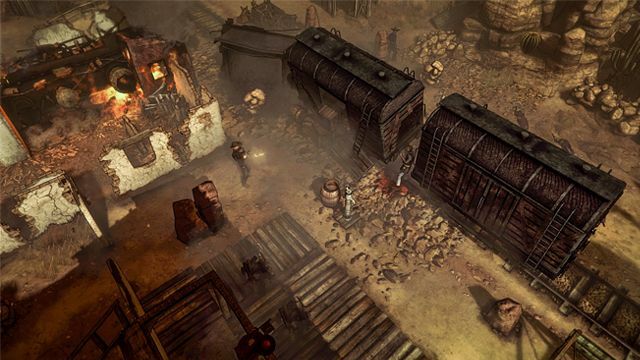 Marcin’s music can also be heard in Hard West. The question is by no means random, because apparently Geralt is stuck so deep in your head that you can hear some witcher-ish sounds in the Hard West soundtrack. That’s funny, because I came across such opinions on the Internet when I was checking whether people liked the Hard West soundtrack, and yes, I saw some comments mentioning that. To be honest, though… I’m not sure. On the one hand, I could be a bit harder on myself, and say, “You, sir, have lost your creativity and you are running in circles”; on the other hand, I could also be a bit more lenient and say, “Every creative person, whether it’s a sculptor or a musician, works within a certain means of artistic expression”. The longer you cultivate your art, the more defined your expression becomes. You create your own style. Do you consider music for the Witcher 3 your magnum opus? Not necessarily a magnum opus, as I’m only 30, but I believe in what I’ve been told when I was a child: you’re only as good as your last creation. Sure, I became widely recognized thanks to The Witcher 3, which is definitely not a bad thing; it’s a reason to be proud. There’s no doubt, however, that this is my biggest project up to date, and the most important one at that, also when it comes to my professional and personal attitude. Contrary to a lot of small games, or my time with Afterfall, Bourgeoisie and other projects, only now with The Witcher can I say that this is my work. First, I was a part of the production process from the first till the last day; second, as a music director in CD Projekt, I was the one to create an artistic vision for this music. It was up to me to decide what it was to sound like and who will help us do it – artists like Mikolaj Stroinski or Percival. Keeping in mind all of the above, this is my most important project up to date. Are any of those side projects – like the aforementioned Hard West or Seven – helping you grow as an artist? They definitely help me keep my intellectual balance. After you’re been surrounded by dragons, magic, and swords for five long years, it’s nice to do something about guns every once in a while. On the other hand, it’s good when side projects help you grow – you need to keep in mind that I don’t stick to games exclusively, I also work in film. Like recently, on Pawel Hejbudzki’s Charon, a movie that was awarded at Gdynia Film Festival. Every project has different requirements, poses different challenges, and if you want to make something good, you need to meet those requirements while expanding your horizons at the same time. Scene from the movie “Charon”. You can hear it in the music for Hearts of Stone, the music that – as far as I know – you’ve prepared entirely by yourself. Yes, we created the music for Hearts of Stone entirely on our own and without any outside help. Percival was the only exception, but this time they weren’t involved in the creative process but worked as session musicians. 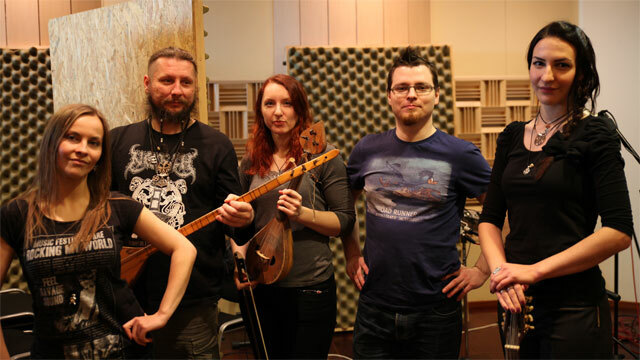 If we wanted to use Master Mirror’s theme throughout the whole expansion and keep the musical coherence of sound, we just had to invite Mikolaj and Kasia from Percival to become session musicians and record it for us. The experiment definitely worked, because – personally – I think that the music from the expansion is much better than the one from the core game. I’m glad to hear that. Can you tell me why exactly? It seems to be more coherent, which is perhaps coming from the fact that everything, from the first to the last note, was written exclusively by you. I never thought of that like this, because I think that music in the core game was actually quite coherent. I like music from the expansion more, but I think it’s because I have spent less time listening to it and our work on Hearts was generally much shorter. It’s definitely different, more dark, sometimes more grotesque; I tried to explore some completely different regions with this music. I agree with that, because this music includes something that people were not used to in the original game; even though we aimed at a feeling similar to the one we had with, for example, the Ladies of the Wood or in other plot-sensitive moments, only in Hearts of Stone could we go all out. The plot, the narrative, even Gaunter O’Dimm himself – all of that made it possible to go a little crazy with some other ideas. 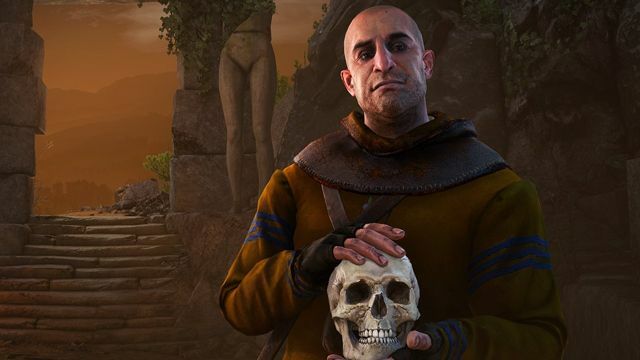 Did you use some leftovers from the Wild Hunt in Hearts of Stone? There was this one thing that I couldn’t get out of my head, but there was no place for it in the original game. It’s the music that you hear when fighting Olgierd in front of the burning house. Originally, it was a Percival song, called Dziewczyna Swaro¿yca [Svarog’s Maiden], which we took, rearranged and rerecorded to make it sound more to our liking. For a long time I had an idea for that piece in my mind – because I really liked it – but I couldn’t really find a meaningful place for it in the original game. So yes, there was this one song that’s been waiting for a chance, and we were finally able to make use of it. Everything else is my original work that was composed exclusively for this expansion, like a custom-tailored suit. Tell us more about that tailoring, because many people have no idea how the artistic process of writing music for video games actually looks like. How do you decide that a certain theme will go with a certain scene? For example, let’s take the scene of the Borsodi Brothers auction house heist, which is my favorite piece in the whole Witcher 3 by the way. Through all these years, I was able to come up with a really nice system of cooperation between departments. Working on music isn't about sitting in front of a computer, typing notes, and then suddenly something comes out of it. Our soundtrack is as good as it is, because it was created in cooperation – not only with the game director, who has a general idea of the whole thing and knows what “feeling” he wants to achieve, but also with the directors of individual quests. So if we think of that heist, I was meeting with the people who created the quest and we talked about it, and then I tried to describe all the emotions evoked by that event, preferably with a single sentence. You may say that it’s because the times have changed, because we’re the Twitter generation, but if you can’t describe these emotions with just a few words, it means that you don’t get the concept behind the quest. In this case, the description was “Ocean’s Eleven”, and that meant a heist. When I learned that we will be recruiting people, preparing for the heist, and then it will all go to hell halfway through, I had a general idea of what I needed. I love heist movies and I’ve watched tons of them, so I knew where I wanted to go with the music, always keeping in mind that everything needs to be placed within the world of The Witcher. On the one hand, you need to have an artistic and stylistic vision – because it’s still about Geralt and it happens in Velen – but on the other hand, in terms of gameplay and directorial elements, you get more creative space. The next step in writing music for such a quest is realizing what characters take part in it. Here it was Ewald who gives us a rundown of the whole plan, so the director revealed his story to me. I found out that he’s a slippery guy, not telling us the whole story, and I tried to match the music so that it describes his personality well. This theme had to be dark, more aggressive, and I felt that a rock-inspired style would fit right in there. So we concluded that we’ll go with classic riffs on medieval instruments. We knew that, when they hear that piece, the players will immediately catch up on the tune – move their heads, start tapping with their feet. I think we achieved that. And what does it look like in the case of background music? I can’t do background music. Ok, I’m kidding. If I couldn’t make background music, I wouldn’t be working for this company, but BGMs are actually not my favorite thing to do. However, if you look at players’ opinions, they generally liked it. Sometimes the background music was too distinct. Exactly, now we’re back again to the subject of style. There are people like Jeremy Soule, who can make some very ambient and “spatial” music. As a result, when you play The Elder Scrolls – even if you’re a musician, sound engineer or simply someone really aware of music – you often don’t realize that there is music playing in the background and that it does something; you don’t realize that this music is not getting through all the layers of gameplay and all the content that you have around you. On the other hand, there are composers like Jesper Kyd, who makes really distinct background music and you get it immediately. I’m much closer to Kyd in this matter. Besides, he’s one of my favorite gaming composers. You can hear it in Witcher 3, especially on Novigrad’s ramparts. Yeah, there’s definitely some Assassin’s Creed feeling there (laughter). Kyd is a genius and there could have been some unconscious, subliminal inspiration on my end. Nothing I can do about that. Anyway, I had an exact opposite situation with Hearts. I uploaded the main theme of the expansion and after a few months I checked the comments on YouTube. One of the comments mentioned that you can hear the same music in Batman v Superman: Dawn of Justice. I was shocked. Although I wasn’t particularly interested in the movie itself, I’ve seen that trailer and I didn’t recall anything like this. So I played it again and listened to the whole thing more attentively, trying to focus exclusively on the music. And yeah, I found a fragment that was really similar. I quickly checked the dates and it turned out that the trailer was released in January, and our piece was uploaded in August year before, so we were first. It just happens sometimes. The equal temperament (a musical tuning system – ed. note) has 12 tones in an octave, and that means that there’s a finite number of combinations you can have with these sounds. Two pieces might be similar to one another simply by accident. You mentioned earlier that you didn’t have any outside assistance when working on Hearts. 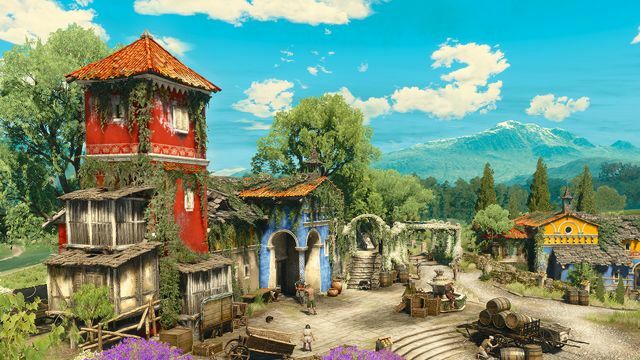 What will it look like with Blood and wine? Will Mikolaj be back? Yes, Mikolaj will be back for the new expansion, we also have a new composer on board – Piotrek Musial, who worked on the music to several games from 11 bit studios, including the award-winning This War of Mine. The three of us are working on the music for Blood and Wine, and it will be something completely new. We’re not using any of the pieces that were written before, because we are dealing with a completely new area, new characters, and a new plot. They deserve to have their music written from scratch. Percival will also be there, as you recently posted their pictures from a recording session. Yes, they have also played their part in creating the music for the second expansion. Art from the second expansion, Blood and Wine. 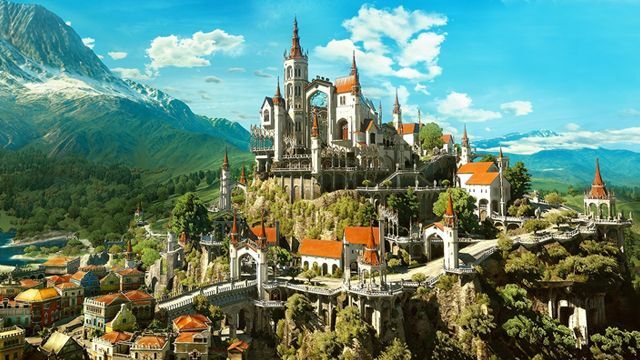 Toussaint (the new area from the upcoming expansion) known from the books is kind of an idyllic land, left untouched by the war. Yes, these people’s lives revolve around drinking wine and enjoying themselves. How will that affect the music? First of all, it will be less depressing than in, for example, Velen. On the other hand, if you played The Witcher 3 or the first expansion, you know well that nothing in this universe is that colorful, and there will be some grime involved. The music will have that grime too. Okay then. We have the general idea behind the area and its atmosphere, and as you’ve said – this isn’t going to be a repetition. If so, what’s Percival’s role in all of this? Their musical style is quite distinct. Are they here to guarantee that the change will not be too drastic, and that there will be some elements conjoining Toussaint’s music with what we could hear in Velen? Percival’s participation comes from two things. First – it’s still Witcher 3, so we need to have a continuation of a certain music style that we had adopted in the original, and it needs to resonate with people. We realize that not everyone liked it, because there were some negative comments, some people were not happy; after all, this isn’t typical fantasy game music. We had decided to follow that road, however, and we have to keep things coherent. On the other hand, Percival’s participation just makes sense; however, since we can’t talk about the plot, I can’t tell you anything more about it. Did Percival record some completely new stuff? Neither in Hearts, nor in the original game have we used only remixes of their already existing music; we worked on some new pieces as well, although we actually used a lot of what they’ve already written. In case of Blood and Wine, these proportions were reversed – we focused mostly on doing new stuff with them. Obviously there’s a chance that remixes of Percival’s music will find their way into the game, because we simply like them. We like songs that you don’t get to hear in games that often. Are we to expect a new Wolven Storm? How big will the soundtrack be? Definitely bigger than the one in Hearts of Stone. In the expansion it was around 40 minutes of in-game music; this one – since it’s going to be at least twice as big as Hearts – will need to have much more than that. I can’t tell you how much more, because I actually don’t know that yet myself. We work on that music all the time, everything is tailored and every quest gets a lot of love so that it sounds well. I don’t know at which point we’ll stop. Let’s focus on the Cracow Film Music Festival for a moment. I’m really interested in that undertaking, and I would like to know what’s your part in it. It’s quite substantial, I’m directly involved in organizing this event. I’m glad to hear that. Will you be presenting a lot of material there? An awful lot. The whole day will be devoted to the Witcher and It will be a milestone for us. Through 9 or 10 years of its existence the festival became one of the most important events of that kind in the world. Every year there are so many celebrities here that you can’t even name all of them. It’s really awesome that we’re the ones who get to be the final act of the festival. Up to now, movie screenings used to close the festival, and that was the jewel in the crown of the whole event. This year, we get to be the cherry on top and to us, as the creators of the Witcher, that means a lot. I don’t think it will be a misuse of the word or some kind of snobbery, when I say that – for the Polish gaming industry – we’re the stars of the festival. This means that expectations are high and we don’t want to let anyone down. We want to do it as best as we can. Can we expect similar highlights as during the last year’s edition of the festival, when Trevor Morris performed the suite from Vikings together with Wardruna’s Einar Selvik? Yes, Percival will definitely appear on stage; there will be other guests as well, solo artists, but I won’t reveal any names now, as I don’t want to interfere with the festival’s organizers. When it comes to the suite from Vikings, there is a great recording from last year on YouTube, you can hear and see how awesome that was. I think you can treat it as a benchmark of what is to come in case of the Witcher. We love our baby, and we’ll do our best to show that during the concert. Let’s slowly wrap it up. Would you like to write music for Baginski’s Witcher movie? I don’t know, I was waiting for your reaction. Yes, I would love to. I started my adventure with music because I wanted to do films. It doesn’t mean that I consider games to be fillers, though. I work on films as well, but they don’t reach as far as the Witcher 3. So generally yes, I would like to do that, because this is the area that I know well, and film as an art is something completely different, so you need to use a different set of tools. However, there’s also the other side to the coin. For me as a spectator, it would be really nice to see how a different composer deals with the task, because that could be stimulating for me. What’s harder to make then, music for movies or for games? There’s no “harder” here. There’s “different”. It’s as if you asked someone whether it’s more difficult to ride a bike or drive a car. There are some similarities – you need a road, you’re moving forward, and you can turn either left or right – but there are lots of differences as well. Marcin in the recording studio. And what appeals to you more? It’s hard to say. With movies it’s different – they are created much faster, the work is more intense; supposedly, in Hollywood a composer has about eight weeks to write music, and that time starts with meeting the director and ends with the soundtrack already in the pressing plants. In case of TV series, it’s even faster. Trevor Morris once told me that when he was writing music for Vikings, he was doing one episode a day. The TV station puts a lot of pressure on you, and you can’t afford to have any delays. On the other hand, games are really time-consuming and you have more time to tweak the details, but there’s also the aspect of interactivity and adaptability; you need to implement all of that. Sometimes it’s – I don’t want to use the word “hell” – just difficult, because some ideas for the story are going one way, technology goes the other way, and there are also gamers’ expectations that you have to meet. You need to combine it all to save your face as a creator, to make it all work, and to have people willing to buy it. So there’s no “what appeals to you more”, it’s rather about the right state of mind, knowing what’s what, and how you should approach it. And that’s it. Are you thinking about Cyberpunk already? Lately, my superiors began to seriously point me towards it, because I spend most of my time with Geralt; however, some initial attempts at Cyberpunk have already been made.